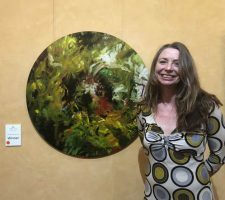 Penny Burnett wins Bay Of Fires Art Prize 2018! Congratulations Penny Burnett on winning The Bay of Fires Art Prize 2018, with her stunning piece Rambunctious! To see more of Penny’s work please call in and see us or visit Penny’s artist page, link below.